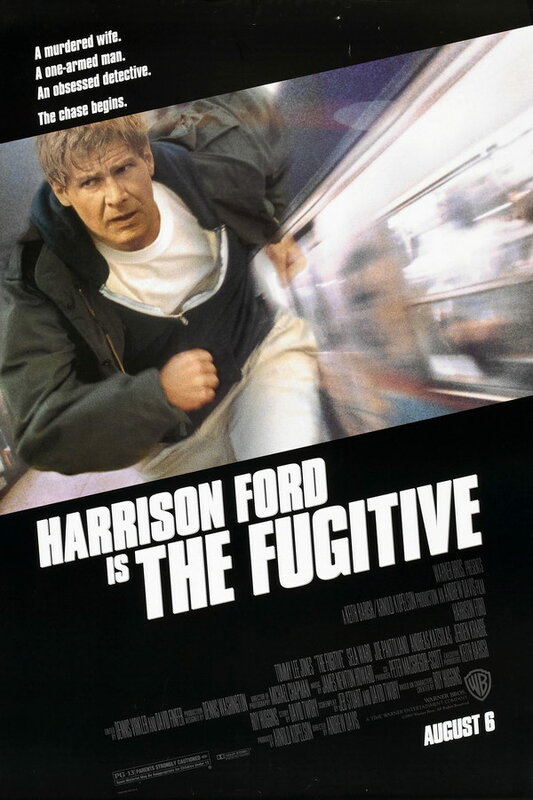 The Fugitive font here refers to the font used in the poster of The Fugitive, which is a 1993 American thriller movie based on the TV series of the same name. The movie tells the story of Richard Kimble, who is wrongfully accused of murdering his wife, has to find the real killer while being pursued relentlessly by a team of U.S. Marshals. The font used for the movie title in the poster is very similar to Compacta Bold Italic. The font is a commercial one and you can view more details about it here. In addition to The Fugitive, Compacta typeface is also used in the following logos, movie posters or album covers etc., including: Burnout Paradise, The Apprentice, Gazprom, Band of Brothers, Dirt: Showdown, The Last of Us, Straw Dogs, Harry’s Law, Trench (Twenty One Pilots), Parental Advisory Label, The Infamous (Mobb Deep), Team Fortress 2, Philadelphia, Lego Dimensions, Borderlands.